Let’s face it – the Bible really does a lot of focusing on men. Adam was created before Eve, Noah saved humanity and Abraham, Isaac, and Jacob were the patriarchs of the nation of Israel. The prophets, Jesus and the Apostles – all men. So where does that leave the women of the Bible? The answer to this is actually astounding! The women of the Bible are left to quietly teach us some of the most powerful and significant lessons the Scriptures have to offer. Finding these lessons is like uncovering rare and telling archeological artifacts that vividly reveal deep biblical truths. Such are the lessons we receive from Mary and Martha, sisters of Lazarus and close friends of Jesus. Their conversations with and actions towards Jesus speak volumes - not only of their importance in HIS life, but also of their abiding place in our lives as well. In the United States, Thanksgiving Day is a day that was originally set aside on a national basis to stop the activities of our busy lives and thank God for His providence. Fast forward a few hundred years and what do we have – a day set aside for family friends food and football. Being “thankful” is rarely on the agenda anymore, and being thankful to God specifically borders on political incorrectness! So, what about actually living daily with a grateful heart? That's a concept that is far from the collective consciousness of our tech savvy society. Now, just because gratitude is not focused on does not mean we as Christians have permission to ignore it. On the contrary, living in appreciation is a Christian requirement, so how do we take that which is required of us and transform it into that which we seek each and every day? Sometimes the Bible is really dramatic. Take the day of Pentecost in Acts which was fifty days after Jesus was crucified. The apostles were told by the risen Jesus to hang around Jerusalem, and on the morning of this particular day there were fireworks – literally, there were fireworks that came down from heaven. Not only did fire come down upon them from above, but they then spoke in foreign languages about the gospel and converted thousands of Jews to Christianity. So, why the big and spectacular dramatics with the fire from above? Was it really necessary? And what about the miraculous speaking foreign languages business? Couldn’t they have uses translators? On rare occasions, God will do things so far out of the ordinary that we just have to stop and take notice. This particular day of Pentecost was such an occasion, so let’s see what the message was! Ep. 1046: What Can I Do Now About Procrastination Later? I’m not even going to ask the question because, let’s face it we all know what the answer is. Procrastination is common with all of us. The only real question is, “what kind of procrastinator am I? Do I put things off only when I’m not in the mood to do them? Do I some avoid tasks like the plague because I really thoroughly dislike them? Or am I the guy who just doesn’t seem to want to do anything? You know - the guy who has mastered the fine art of creative avoidance, which makes me actually look like I am busy and productive, when in reality I am running and hiding. What are the implications of being a Christian procrastinator? Our lives are supposed to be all about doing the will of God through Jesus and that is not really something we ought to be toying with? So, what’s the answer? How do we face, understand and finally defeat the urge to procrastinate? Ep. 1045: Can Zombies Possibly Be Real? October brings Autumn and Autumn brings a major change of seasons. Leaves brilliantly change color as they die, the harvesting of crops comes to its end and the colder weather sets in. It is at this time of nature “closing up shop,” this time of things dying, that Halloween and all that comes with it is celebrated. It’s funny, the origins of Halloween were based in serious concerns about the spirit world, and now it is all about fun, candy and parties. Some of the season’s most successful phenoms are zombies. Yup, Zombies. Zombies are supposed to be the undead. They terrorize the world around them with their hideous appetite and their contagiousness. What's the deal with these guys? Is there any possibility they could be real? Where has our fascination with the whole zombie thing brought us? Does the basic idea of the “undead” even fit in with biblical teaching? Ep. 1044: How Do Demons Influence Our World? We really are messed up. Just look around and observe the kinds of things we call "entertainment," and it quickly becomes obvious that human minds have an unhealthy fascination with the powers of darkness. How many movies, TV shows and online series and stories focus on dark spiritual power? How many depictions of Satan and his demons do we see and shudder at? What’s worse, computer-generated imagery can absolutely bring these things to life. Once we begin going down the imaginary road of what the demonic world might look like and feel like, it is just one more small step before we accept this imagery as a reality that is kinda cool! News flash – there is NOTHING cool about evil! Ep. 1043: How Do Angels Help Us in Daily Life? As far as I’m concerned, angels are pretty much a mystery to us. I think that we have very limited knowledge of what goes on up there in heaven and we are just given glimpses of what angels have done here on earth at God's command. Further, we have no strong biblical reason to believe that we should be seeking out or messaging with them here and now. Yet, myriads of people believe in and pursue not only identifying them in their daily life, but they pursue communication with them as well. So, who is right in all of this? How do we go about finding the genuine “spin free” truth about these heavenly beings? Are they here on earth? Do they protect some or all of us? Are we supposed to get to know them? Ep. 1041: How Do You Bloom Where You Are Planted? The grass is always greener on the other side of the fence! As we go about the business of making our lives work, we can easily and frequently wind up looking at others around us with some level of envy. They seem to have it better than we do, they seem to be more stable or secure or more engaged than we are. These emotional and reactionary observations then give way to those gnawing feelings of “if only I had” or “if only I could” or “why does everything seem to always go their way? What we are left with is a discontented void in our hearts that yearns for fulfillment. How do we get there? As Christians, how do we fill that space with thoughts words and actions that are not envious or discouraged? How do embrace our experiences with a God-honoring and growth-oriented acceptance and outlook? Ep. 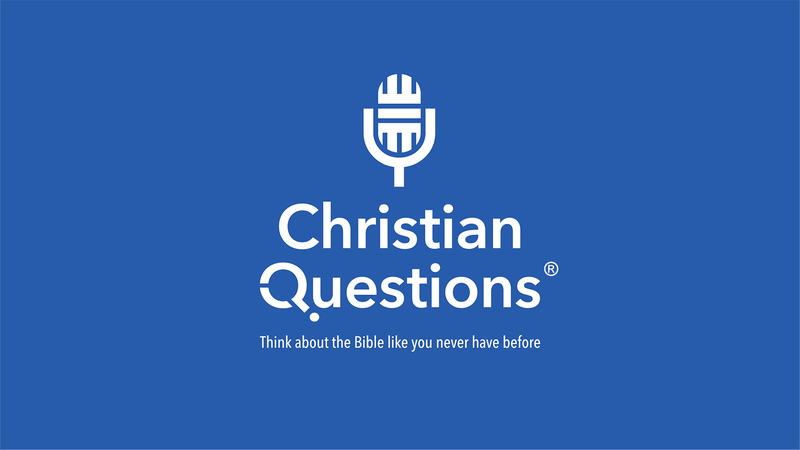 1040: Do Tithes and Offerings Belong in Christianity?